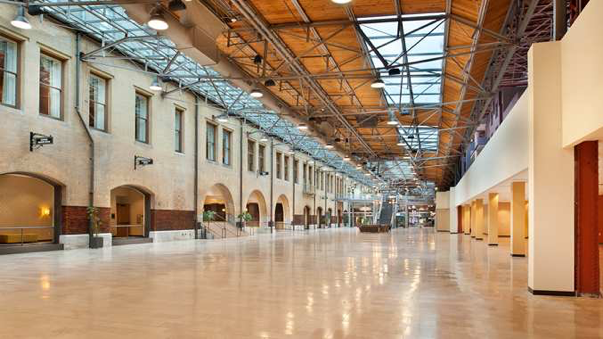 The Exhibit Hall will be in the Midway located in the middle of the Union Station Hotel meeting space. 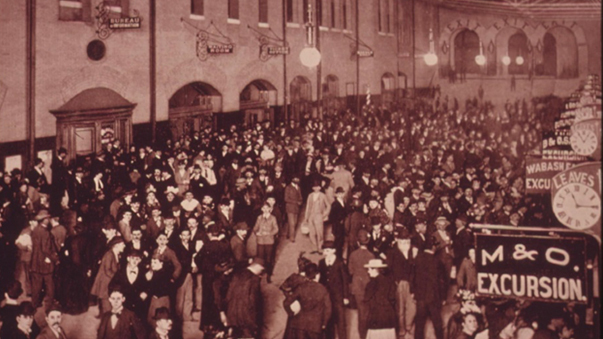 The Midway once serviced more than 100,000 rail passengers a day. The area was connected to the massive Train Shed, where passengers lined up to board trains through one of 32 boarding gates. The Midway was constructed with a light steel trussed roof of glass and iron that provides natural light. 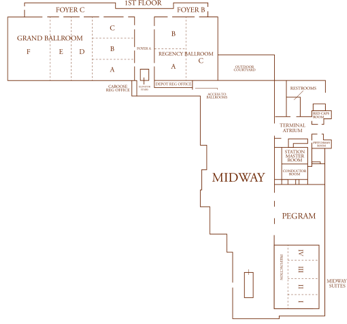 The Midway has over 28,000 square feet of available exhibit space. Calling all exhibitors! ISDC 2017 exhibitor sign-ups are now open. Download the Exhibitors Agreement for pricing, sign-up form and other information. Contact the Exhibit Coordinator for any additional information or questions about exhibiting. Include any concerns, special requests/needs, etc. About ISDC 2017. National Space Society (NSS) sponsors ISDC 2017 to update members of space organizations on the latest space information and trends and to introduce interested members of the public to a wide variety of space issues, presented by an outstanding collection of scientists, astronauts, business and civic leaders. Exhibits. ISDC 2017 will make available to Exhibitors 6’-long tables, as ISDC 2017 shall determine, and two chairs. ISDC 2017 will determine all Exhibit locations, but will try to honor requests for particular locations, with priority generally given to earliest registrants. If an Exhibitor wishes a booth or free-standing exhibit or some special display other than an exhibit table, ISDC 2017 will consider such requests. Exhibits should not exceed 15′ in height. Exhibit Fees. Rates for an Exhibit table are subject to change any time without notice. Rates for two tables are generally double the rate for a single table. With the special written permission of ISDC 2017, (a) two (but no more than two) tables may be stacked, and (b) “splits” (tables 18″ wide), if available or furnished by the Exhibitor, and approved by ISDC 2017, may be placed against a wall behind an Exhibitor’s main table for a charge 150% of the rate for a single table. Rates for booths or free-standing exhibits will be negotiated separately. Complimentary Registrations. Each table-top or booth Exhibitor will be entitled to complimentary registrations (not including meals) for up to two persons staffing the Exhibit during the Conference. Deposits and Refunds. A 50% deposit will hold a space until 30 days prior to the Conference or such earlier date as payment in full may be requested — but will not hold a particular location. At any time before or during the Conference, ISDC 2017 may cancel an Exhibit or bar a particular Exhibitor registrant, and its sole liability for so doing will be to refund the Exhibit fee. The absence of, or substitution for, any announced Conference guest, speaker, or participant, for any reason whatever, shall not entitle an Exhibitor to any refund or other damages. Special Needs. In general, table and booth Exhibits are expected to consist of materials that can be personally transported to the Exhibit by the Exhibitor’s staff. No electrical hookups or oversize or unusual exhibits will be permitted without prior approval by ISDC 2017. ISDC 2017 reserves the right to approve all Exhibit materials and handouts. Facility Charges. Charges from the hotel for storage or labor in handling an Exhibit will be the sole responsibility of the Exhibitor, who will be expected to make payment arrangements directly with the hotel. All shipping arrangements (and costs) will also be the responsibility of, and must be made by, the Exhibitor. Set-up/Take-down. The Exhibit area will be open for set-up after 2:00 p.m. on Thursday, May 25 and at 8:00 a.m. on Friday, May 26 and all Exhibits must be removed by 5:00 p.m. on Monday, May 29. Exhibit hours will be Friday through Sunday from 10:00 a.m. to 6:00 p.m. and on Monday from 10:00 a.m. to 2:00 p.m.
Responsibility. Each Exhibitor will be solely responsible for the security and insuring of its own Exhibit and Exhibit materials and handouts; no such supervision will be provided by ISDC 2017 or those associated with it. An Exhibitor may wish to remove its materials each evening. By exhibiting, an Exhibitor agrees (i) that the Exhibitor shall be solely responsible or liable for any bodily injury, damage to or loss of personal property, or for any other injuries, losses or damages which may be suffered, or caused, by the Exhibitor or its agents, at or in connection with the Conference, and (ii) to indemnify and hold harmless ISDC 2017 and NSS and their respective directors, officers, members, employees and agents, from any and all liability, claims, or causes of action on account of any such injury, loss or damage by exhibiting, an Exhibitor agrees that any provisions in the NSS contract with the site facility that are required to be agreed to by an Exhibitor are agreed to, as if fully set forth in this Form. Each Exhibitor will be solely responsible for obtaining copyright permissions for materials used or distributed at its Exhibit.